Why Chao Phraya River & Waterways is special ? Despite the fact that Bangkok has been developing as a modern city, the Chao Phraya River is still a charming feature appealing tourists all over the world when they come to Thailand. Forget all cars, taxis or motorbikes, you are now going through Thai culture while sitting on boats and visiting several famous tourist destination as Grand Palace, Wat Pho, Wat Arun,.. When the riverside is lightened up, the view is gorgeous. 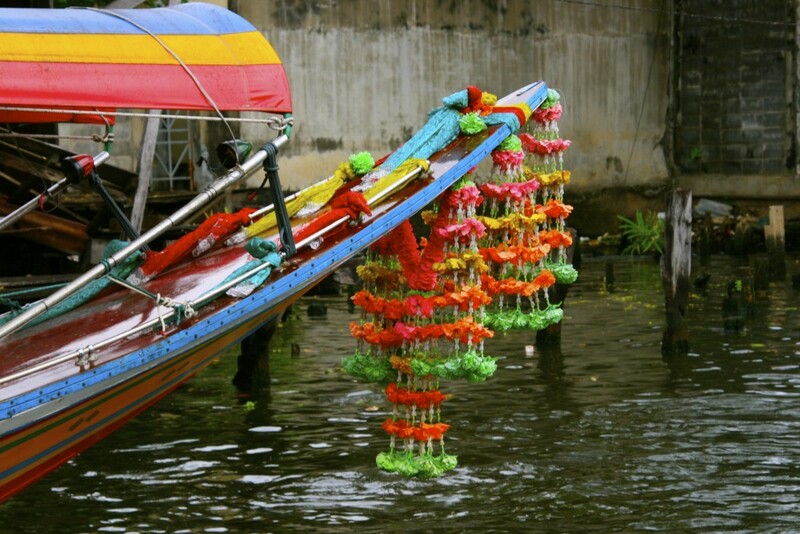 What to explore at Chao Phraya River & Waterways? Day or night, simply many things to do! If you want a taste of the local life. All five lines that ply the water the Orange Flag is your best bet - it operates all day. You can pay a tourist tour ticket at 150 baths. You can get on and off as many times as you like from Central pier up river to pier 13. Some tour operators offer the dinner package on board where you can enjoy your meal while admiring the gorgeous surroundings. After the morning rush-hour, boats come every 20 minutes until around 16:00 when other lines kick into action and boats appear more frequently. If completely confused by the melee, another more comfortable option is a 'Tourist Boat', though these only come every 30 minutes. Within easy reach for tourists, affordable.. Do not miss other tourist attractions which are nearby. Grand Palace, Temple of Dawn, and if we are not mistaken, the Eminent Bhudda as well. A short taxi ride will take you to Victory Monument. Our disappointment was not able to go inside the Grand Palace because we did not know it closes at 4 pm. We came after visiting Tailing Floating Market which we truly enjoyed the experience and the feasting . Unbelievable, able to see all these places in one trip. We did not see the Eminent temple also because we assumed on a see one see all basis.Tailing Floating Market is a small market, but it did not disappoint . We struggled with having to travel 100 km to see the main floating market where all the tourists go or the easy one and we were glad to make the correct decision . We met German and Canadian tourists who made similar choice.